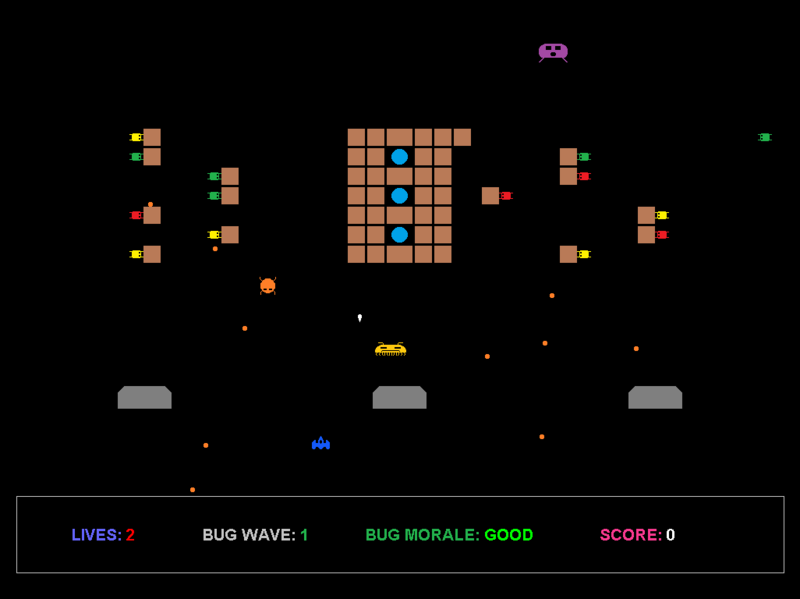 Can you shoot the bugs before they manage to steal those 3 blue orbs? If you can save just one orb, then you'll win. But the game is harder than it looks like. The Angry Bug, the Fast Bug, the Mother Bug and an endless horde of Small Bugs will make your orb protecting task a desperate business. You will have the latest fighter jet at your disposal of course. And it has a reliable laser cannon. But the bugs will spit orange goo at you at an alarming rate, and after each wave those little bastards will get faster. The more you shoot them, the worser their morale becomes, and eventually it breaks. And then they will retreat. But soon they'll come back, nastier than before. Will you be the first pilot to reach level number 22? 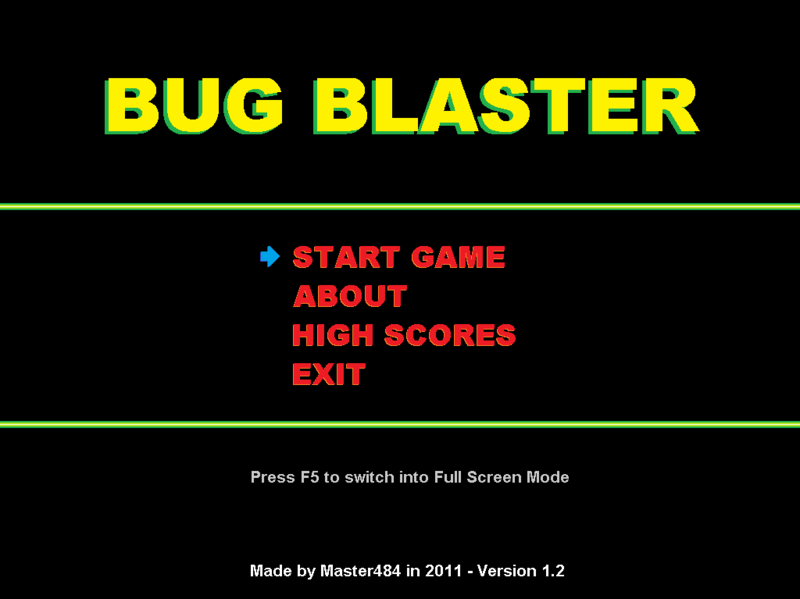 Bug Blaster is a remake of an old and rare VIC-20 game called "Cosmic Jailbreak". I played that game as a kid, and liked it a lot, and made this remake based onto my memories. I added a few things and made my own graphics, but all the main elements of the original have remained the same.